Future first ballot Hall of Famer Derek Jeter was drafted by the New York Yankees in the first round of the 1992 amateur draft. 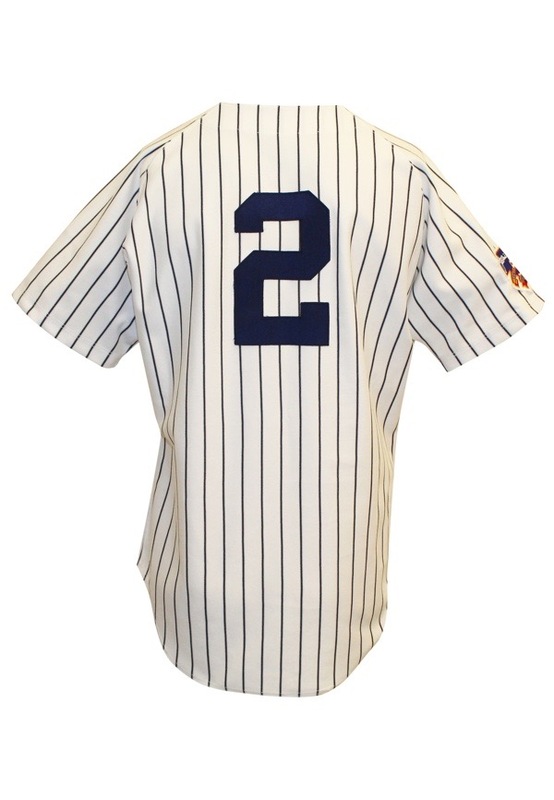 “The Captain” of the historic franchise spent his entire career with the Yankees. 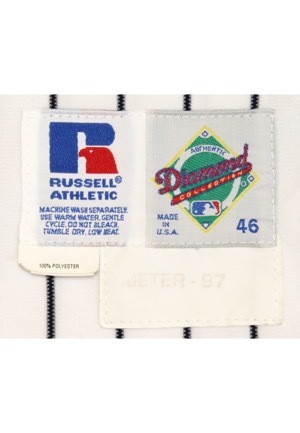 On the front left tail of the pinstripe jersey is the Russell Athletic manufacturer’s tag size “46” with washing instructions. Attached are two flag tags reading “100% POLYESTER” and “2” EXTRA BODY LENGTH”. Adjacent below is a strip tag reading “JETER - 97” that is fading. 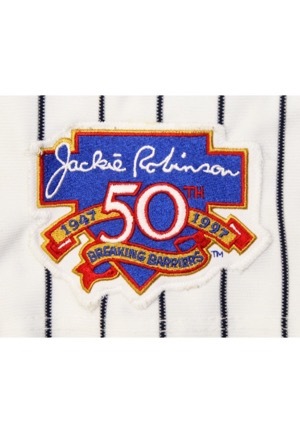 On the right sleeve is the “Jackie Robinson 50th” patch commemorating 50 years since Robinson broke the color barrier in baseball. 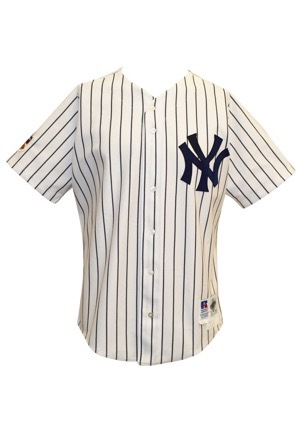 On the left chest is the Yankees interlocking “NY” logo and across the back is the player number “2”. All numbering and lettering is done in navy blue tackle twill. This jersey is properly tagged, was presented to us as game-used and in our opinion shows outstanding use.